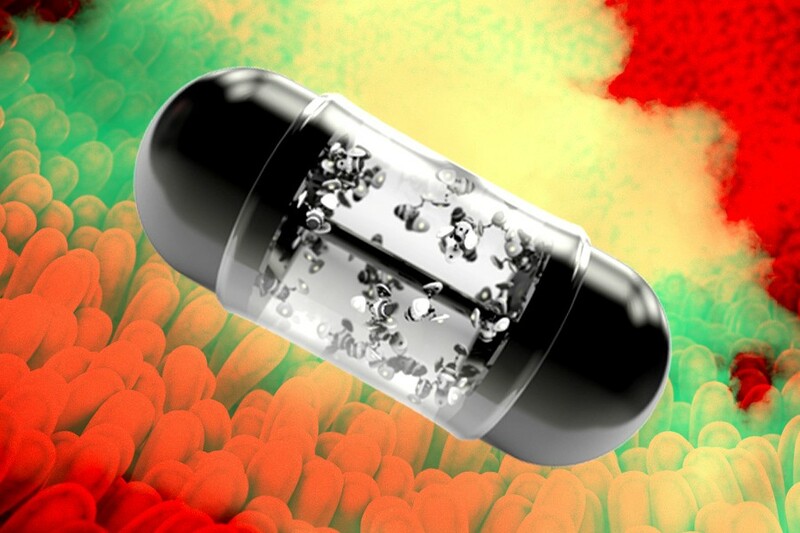 Now this is science put to good use: Researchers in Australia have developed an ingestible electronic capsule to monitor gas levels in the human gut. When paired with a pocket-sized receiver, the device reports on your fart development in real time. The researchers expect their tiny plastic pill to do much more than warn consumers of oncoming turbulence, though. The information gathered by the capsule could help scientists and doctors pinpoint the causes of excessive gas. (Surprise: Food is a fairly common culprit.) Once identified, they can provide patients with individualized diets for avoiding gassy build-up, which could one day mean less flatulence and bloating for everyone. To learn more about the inspiration behind this device — and how it works — we talked with lead researcher Kourosh Kalantar Zadeh. What inspired you to create a fart-sensing pill? We were first approached in 2011 by a gastroenterologist attempting to make a “breath test,” which was only between 60 and 70 percent accurate. We said no, because breath testing is an indirect method for measuring gases in the gut. Gases are generated in the gut, absorbed into the walls of the gut, recirculated into the bloodstream and released into the lungs. During this process, the gases are interfered with by our metabolism — they’re also diluted by the time to reach our mouths. To accurately sense gas, the best solution was to measure them inside the gut with a swallowable capsule. The pill has a microcontroller, transmitter receiver, antenna and batteries, as well as gas and temperature sensors. The information from the sensors are coded by the microcontroller and sent out to a handheld device. Two-point-six centimeters (one inch) in length and one centimeter in diameter. How long does this pill stay in the gut? However long it takes to perform a bowel movement (between 24 and 48 hours). How did you ensure the capsule doesn’t fall apart in the stomach? The plastic used doesn’t disintegrate, and the capsule is fully sealed. This pill could help doctors provide patients with tailored diets. How so? Gases in the gut change their concentrations and types (or profiles) in response to the alterations within diet. If the gas profiles detected aren’t normal, diet can be adjusted or medications can be taken to bring those gases back to normal. What does the future hold for body-monitoring pills? This is only the beginning. Many other contents of the gut — hormones, metabolites and electrolytes — can also be measured by these devices in the future. Many people are calling this a fart-sensing pill. Did your team give it a nickname? What question are you most sick of being asked about this capsule? Many people are asking about when the device will to go to the market, so that they can have access to it. I’ve already received between 500 and 1,000 emails, which shows the severity of the pain these people are experiencing in regards to gas. We need a supportive investor now to help these patients.